Has My Password Been Compromised? Apple Stops Selling iPod’s ! 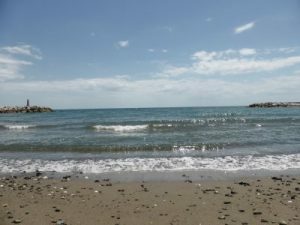 With the main summer holiday/vacation time rushing up on us, its time to have a think about some of the essential tech it is worth taking with you. We are not going to talk about the obvious things that you will almost certainly have and are already going to take with you e.g. your Tablet, Digital Camera, Smart Phone etc. We are going to discuss the items you might not have thought of, but can make a massive difference to your summer holiday/vacation. The first item you MUST/NEED to take with you (unless you are not traveling abroad) is a mains plug Adapter, otherwise all the tech you take will be pretty useless once the battery’s run out. 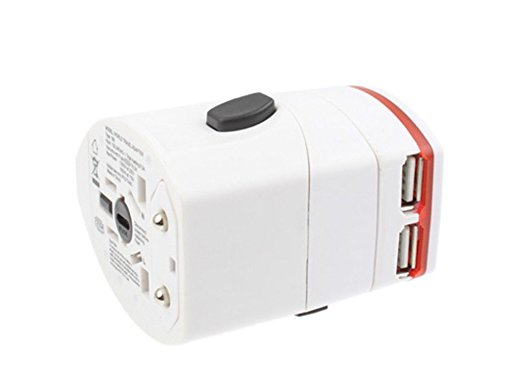 You can get cheap adapters that are country specific and ones that don’t have a USB socket in builtin, but they are not really cheap or useful when you considered you then need multiple adapters for each country and you will need to take a USB adapter on top of the converter. If you get and take an “all in one” then it will work in pretty much every country and you don’t need to take a separate USB adapter. You can also plug in various country’s plugs in the converter by pulling off the USB section. We recommend the below item, designed for Worldwide use it works in over 150 Countries including USA, Europe, UK, Australia, Asia, South America. 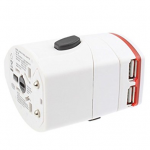 As well as the USB sockets you can plug in a normal mains plug, it can accept plugs from the USA, Europe, UK and Australia. 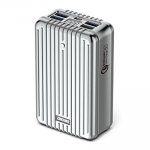 It comes with 2 USB sockets allowing you to charge multiple items at the same time. If you are going to be doing any type of intensive gadget use away from a fixed mains socket, Spending a night camping/sailing or maybe you are playing Pokemon Go then taking a Portable Power Bank around with you is essential. 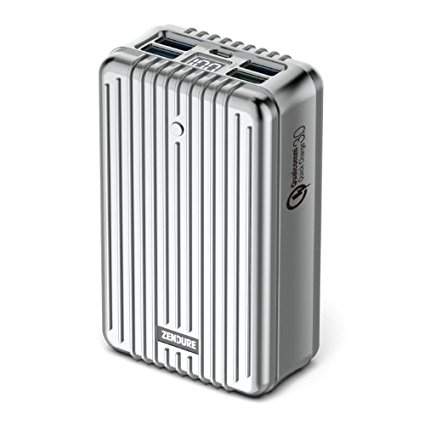 A portable power bank allows you to charge up any device that uses a USB socket e.g your Phone or Tablet. You simply just charge the Power bank up before you go and then when your device is running low you just plug it in and it will give you double or triple your normal usage. 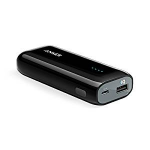 The One we recommend is the Anker model, It is very small and lightweight and can easily slip into your pocket with out any problems. This model will allow at least 2 full charges of standard mobile/cell phone and will recharge in 5 hours. A large capacity Power Bank is basically identical to the above, but they are designed to be able to hold a lot more charge to enable you to recharge your devices a large number of times. For example a standard Power Bank will do 2 or 3 charges, but a large Power Bank will do 9 charges. If you are going away from a main supply for a prolonged period e.g. your going to a festival or maybe about to trek the Inca trail then a Large Power Bank will be found essential as it will be allow you to recharge all your devices for over a week. We recommend the below model as it only takes only about 10 hours to charge, will recharge an iphone up to 9 times and maintains up to 95% of charge after six months in standby. More and more airlines are reducing the hold luggage you are allowed to take, and if you go over the limit they will charge an exorbitant amount. So being able to quickly and easily check the weight of you luggage is essential. By taking a small digital scale you can weigh all your luggage and make any adjustments as necessary. The model we recommend below allows you to weigh up to 50 kg with an accuracy of 0.01kg. 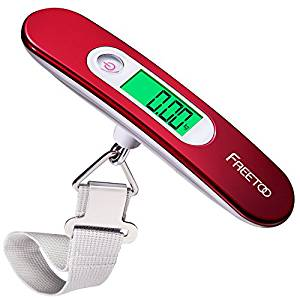 It has a large clear back light display that can give you readings in (lb, g, ounce, kg), its very light weight only 90g and very small so it can easily slip in your case. 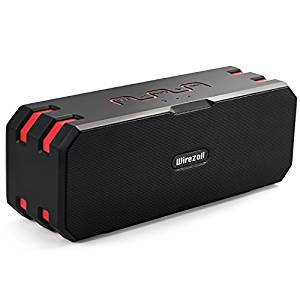 If you are going to a summer party on the beach or any other type of group gathering then you will find a wireless Bluetooth Speaker essential as it will allow you to stream all your music from your phone or tablet via Bluetooth direct to the speaker. high quality sound and a unique enhanced bass. If you are connecting your mobile/cell phone then it will then give you hands free calling by allowing use of its inbuilt microphone and loud speaker. It also allows wired connection via its 3.5mm socket and TF Card Support so you can store your favorite songs permanently on the device. If you have any questions or you have any tips of your own, Why not drop a comment below. ← Microsoft Release an Emergency update for Windows XP to protect against WannaCry. We have customers all over the world, but our onsite work is centred on the south east of the UK, specifically - London, Berkshire, Surrey, Hampshire,Guildford, Camberley, Woking, Windsor, Ascot & Sunningdale.